Infobox any site visitor can overlook. With it, you have a unique opportunity to highlight important information that may lead to sending delegates to demand. Infobox is clearly color-coded from the other elements on the page. Greatly increase the chances that a visitor will notice published information. 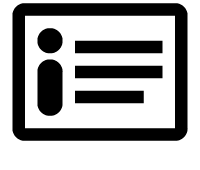 Infobox can be used to promote your product, event, etc. You have a choice of 4 templates that allow you to differentiate the content. It also serves to streamline content on the page.